How Can You Know When It’s Time to Call a Professional Roofer? Is your roof suffering extensive damage? Is water running down your walls during a storm? If these are some of the problems you have as a homeowner, calling a roofer experienced in roofing Dallas homes might be required. While the action might cost you some money, it’s usually best to contact a roofing professional as soon as possible to avoid further damage. A few signs of roof damage you should take into account can include discoloration of the roof, broken or bent shingles, damaged flashing, a damaged skylight, or problems with ventilation in the attic. The latter can sometimes cause your home to heat up too much during the summer, leading to your AC system going into overdrive. In the event that any of these problems appear, you’ll have to call a roofer for an inspection and possible roof repair. 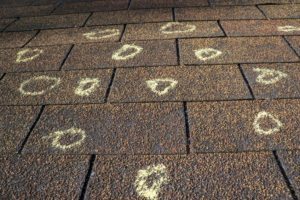 But that course of action should also be considered if you just want to make sure there’s no damage to your roof – even if nothing “bad” is visible. Periodic roof inspections and damage checks should be performed DIY or by a professional as frequently as possible. Typically, most experts recommend it twice per year, although for a new roof made from a more resilient and maintenance-free material such as metal, that period can be extended to an entire year.